Anna 1: Anna Frijstein explores what it means to be ‘authentic’: how does one find the inner, yet most successful self? This contradictory introspection results in comical performances, settings and video tutorials. Frijstein analyses the roles we assume in various social settings, such as at the kitchen table, in the political arena, at the gym or on YouTube. She mimics these contexts’ characteristics and methods in order to expose them in her sharp-witted performances. Although her focus is on human beings, she also learns from honey bee dance moves or the tempting manipulations of an orchid. Frijstein’s didactic intonation and dubious persona leave it unclear who is addressing you. Who does she think you are? Anna 1: Born in 1991, in a village near Amsterdam (NL), I moved to Berlin (DE), returned to Amsterdam to study Fine Arts [2015, BFA Fine Arts at the Gerrit Rietveld Academie]. 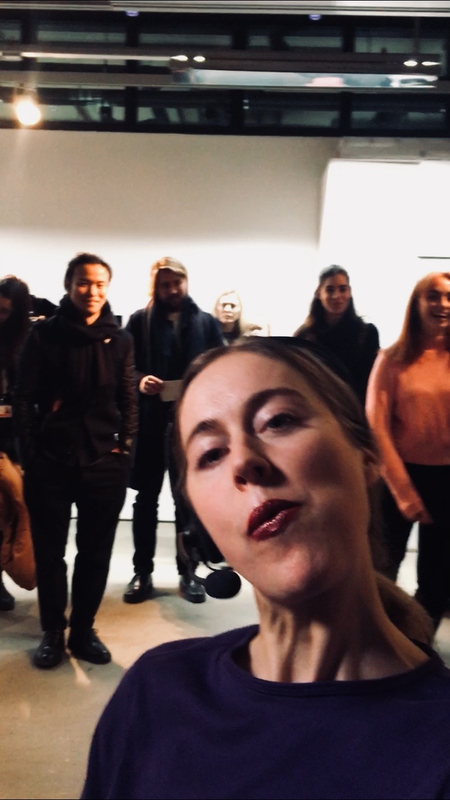 Currently, I live and work in London where I study Performance [2019, MA Contemporary Art Practice_Performance] at the Royal College of Art. Kindly supported by Prins Bernhard Cultuurfonds, Jan van Heel Fonds, VSBFonds and Stichting Niemeijer Fonds.